If you have been convicted of certain Misdemeanors or any Felony offense or have are the subject of a restraining order your gun rights will be affected. Unfortunately the gun laws have both a state and federal component that are very difficult and confusing. You should definitely consult an Attorney for a full indication of how your situation will affect your ability to own or possess a firerarm. Someone who is the subject of a restraining order cannot have possesion of a firearm while the restraining order is in effect. Whether it is a civil or criminal restraining order. Whenever a criminal restraining order is in effect the police will be notified. And they can with a warrant enter your house to look to see if you have a weapon. If the police show up at your residence without a warrant then you can tell them to leave they will either get a warrant or they cannot enter. Regardless you should not have a weapon in your possesion if you are the subject of a restraining order. If you have a Felony charge reduced to a Misdemeanor you can sometimes possess a weapon again. I say sometimes because you should get an opinion from an Attorney before possessing a weapon after a Felony conviction. And nothing on this site is meant as specific legal advice which you should get from an Attorney regarding your personal legal problem. A misdemeanor conviction for domestic battery will stop you from possesing a gun for a 10 year period. This could be true even if the crime you pled to was not a violation of pc 243e or a violation of 273.5 which are the two domestic violence related misdemeanors. I will give an example below. Federal law determines who can buy or legall obtain firearms. And the law is different from the state laws. And should definitely be looked into before buying or obtaining a firearm. Which gives a list of people that are prohibited from possesing shipping transporting or recieving firerams or ammunition. and a person convicted of a domestic violence related offense. This is not in any way an exhaustive list. Under Federal Law you cannnot own posses or buy a firearm after any of these events have occured where this can be very tricky is if your state gun rights are restored you will still not be able to buy a firearm and under Federal Law possess a firearm. So lets take on scenerio. You and your wife get into a fight she call the police she has a small mark on her arm. You enter a conditional plea to a non domestic violecne 242 simple battery. You complet a class and the case is dismissed under this scenerio you may have had your gun rights permanently taken away. Because the Federal Government will say that you entered into a plea of guilty even though conditional and it was for domestic violence or stemming from domestic violence (even though you pled to a non domestic violence charge) the federal government under the above-mentioned statute can and will stop you from buying a gun in the future. And there is no time prohibition they can do this indefinetely. And you can get proesecuted under this statute if you are found to be in possession of a weapon. As you can see these laws are confusing and tough to understand give us a call 559441-1418. If you or a loved one has been arrested or facing Drunk Driving charges give us a call we can help you through this time. As an Attorney with more than 15 years of experience I can tell you that dealing with a driving under the inlfuence charge can be difficult and time consuming. We can help you. Give us a call at 559441-1418. Below I will describe the difference between a Misdemeanor and Felony Drunk driving and some information regarding both offenses. WHAT IS THE DIFFERENCE BETWEEN A MISDEMEANOR DRIVING UNDER THE INFLUENCE AND FELONY? One way to be charged with Felony Driving Under the Influence is if you meet the following elements within a 10 year period. 3. The defendant has suffered three prior convictions of the Misdemanor section. an all of these factors occured withing a 10 year period. If the following are true then there are many consequences that may occur. You are eligible for prison. Becuase it is a Felony to have four convictions wthin 4 years you can be sentenced to prison for a period of 16 months 2, or three years. The facts are important here. Was anyone injured? how close in time are the convctions? what is the BAC when the offenses occured. Was there property damage. Has the defendant been afforded the oppurtunity at treatment at an earlier time and did not take advantage of that treatmen. All of these things will come into play when the Judge makes a determination as to what your sentence will be. The Judge will have to make a determination of both whether or not you should be given Felony Probation, or sent to prison. The Judge will also have to determine if the defendant should serve 16 months 2, or 3 years. If given Felony Probation you will usually be ordered into in patient treatment, or sent to County Jail for a period od 1 year. If you are given a 1 year sentence you will have to do six months of that sentence and then still serve a period of probation. If you violate your Felony probation you could be sent to prison for any of the terms of the sentecning range. In other words for 16 months 2, or 3 years. If you are given Felony Probation you could be ordered to attend substance abuse in patient treatment. Or out patient treatment. Failure to comply with the treatment program could be a violation of probation. And again subject you to prison. It is always best to be proactive. If you have a fourth DUI you should be going to AA meetings and obtaining proof. And admitted to your alcohol problem. Making sure you get on the scram x program which will give an indication if you are drinking alcohol. You will be booked for a fourth DUI and you will have to get bail money and there could be terms placed on you as part of your bail. You should folow those terms as closely as possible. And of course do not drive. Do not consume alcohol, and prove that through both the scram x and going to outpatient treatment and AA. The in patient treatment should be reserved for after the conviction in most circumstances. If you have any further questions do not hesitate to give us a call and we can help you through this. Be proactive get into contact with us and a Bail bondsman. Our phone nyumber is 559 441-1418, I have done many hundreds of DUI cases in several different counties and can help you through this and help you hopefully stay out of prision. There have been many changes to Marijuana laws over the past year. Many people even Attorneys have had a hard time keeping up. Many people even Attornys make the mistake of thinking the Marijuana laws relate to smoking Marijuana. However, most of the law of Marijuana if not all of them relate to possession or the amount of the possesion. Possession of 28.5 grams of Marijuana if you are over the age of 21 is legal. Meaning you cannot be given a fine or imprisonment. Where this could get tricky is say you are at a concert and smoking marijuana but have only 1 joint on you? This is not legal advice, every case is different. However, under the statute as it stands to posses less than 28 grams if you are an adult is not illegal to possess les than 28.5 grams there could be city statutes and other statutes that deal with smoking marijuan in public so don't lite up in public unles you have spoken to an Attorney regarding your legal rights. If you are under the age of 21 and you have less than 28.5 grams of Marijuana then it is an infraction and you can later have the infraction expunged from your record at a later point you will also have to pay a $100.00 fine. Part of the reason for the changes in the law is to de criminalize certain what the legislature considers low level recreational drugs. The reason is that a criminal conviction for these types of offenses can have a huge impact on someones ability to get a job and to get certain rental properties loans etc. Once you have an infraction it is not a misdemeanor and you can still even though the crime is not a misdemeanor have the offense expunged from your record. It is still illegal to possess Marijuana with intent to sell. Misdemeanor (max 6 months in jail and / or $500.00 fine) however if you possessed with intent to share Marijuana this is a different and is a defense of course depending on the facts of your case you could have a valid defense if your only intent was to give or deliever someone marijuana. This of course is depending on the circumstances. did you have pay owe sheets or other indicia of sales rather than intending to give someone marijuana. If you have questions give us a call at 559 441-1418. If you or a loved one has been arrested or charged with Domestic Battery it is important you seek legal advice as soon as possible. You should not make statements to police wihtout first getting legal advice and counsel. Domestic Battery charges are complex and require experienced counsel. As an Attorney with more than 15 years of experience with Domestic Battery cases I can help you throught this time. Domestic Battery cases involve several overlapping areas of law, including possibly custody matters, restraining orders, and criminal cases. If you do not seek legal counsel right away you run the risk of violating even more laws and getting yourself into further legal problems. Below I will go through a brief outline of the law as to the most common domestic battery chages which are the corporeal injury to a spouse as both a Felony and a Misdemeanor. This charge is a wobbler which means it can be charged as either a Felony or a Misdemeanor. I will briefly go through the elements for both. 1. Defendant willfully inflicted corporeal injury on victim. fiance or fiance or someone with whom the offender has or previously had an engagement or dating relationship. the mother or father of his or her child. corporeal injury resulted in a traumatic condition. Another common charge in relation to domestic battery is the charge of 243 e 1 domestic battery upon a spouse. I will go through the elements in those type of cases. 1. Defendant committed battery upon victim. These are the most common charges when it comes to Domestic Battery all have there own unique defenses. One thing that may occur and I have seen happen on several occasions is that after an allegation is made the prosecutor will have the alleged victim phone the person they say battered them. When this happens they are trying to elicit incriminating responses from the person on the phone. These can be used as evidence against you. Because they are made at the behest of Law Enforcement they can be used even if you do not know you are being taped. This is one reason you should get legal counsel even before your first court date there are many others. The district Attorney often has a small amount of information to go on. Usually they do not have your side of the story. It is up to your defense attorney and investigator to fully investigate the case even before charges are brought and give that evidence over to the prosecution so that the prosecution has a more full picture of exactly what happened. and or video evidence that constradicts the statement of the accuser. These type of things need to be done from the beggining of the case in order for you to mount an effective defense under any of the charges listed above. So again if you or a loved one has been arrested investigated or charged give us a call 559-441-1418. If your child has been arrested or in custody at one of the local juvenile halls you need experienced representation for him or her. Juvenile Law is much different than adult criminal defense and obtaining a lawyer that does not have extensive experience in the Juvenile Courts is not optimal. As an Attorney that has practiced criminal defense in Juvenile Court for more than 14 years and was a Juvenile Probaiton Officer, before becoming an Attorney I have the knowlege to help your child. Below I will discuss the Juvenile court process and will continue with further blogs about some of the programs in Juvenile Court. The first appearance a minor will make will be a detention hearing. At that hearing the court will read the charges to the minor and determine if the minor should be detained in the juvenile Hall or released to the parents or placed on some sort of supervision such as the global positioning system. This hearing is similiar to an arraignment in adult court. If the minor is detained an adjudication hearing must be set whithin 15 days unless there is a time waiver. A time waiver may be necessary depending on the complexity of the case. If the minor is released then the District Attorneys office has up to 30 days to bring the minor to trial absent a time waiver. There are several diversion programs available for minors I will discuss some of them below. This is a more stringent program for felonies there are different statutes that deal with the destruction of records in dej cases. Usually these cases have more serious charges attached to them. The prosecution will actually provide a sheet that states is the minor is eligible. The minor will have to enter into an admission to the charge. And then there will be a report from probation as to whether probation believes the minor is suitable for the DEJ program and the court will make a determiniation. If found both eligible and suitable then the minor will be given certain things that he must do to have the matter dismissed and later expunged with a possibility of destruction of those records. If the minor is not suitable then he or she can take back there plea and have the case set for trial or enter into a plea. These destruction of records statutes are different from the statutes for informal or cjc program. These are just some of the programs availabe there is also juvenile drug court, behavioral health court, and many other options available to the minor. If you have any qeustions give us a call 559-441-1418. If you have been charged with domestic violence you should call our office as soon as possible. 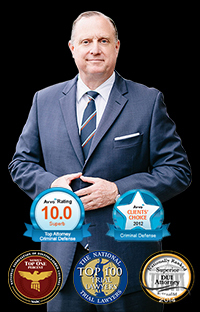 With more than 14 years of experience as a Criminal Defense Attorney, and having handled hundreds of domestic violence cases, I have the know how to help you through this time. A wobbler offense is a crime that can be charged as either a Felony or a Misdemeanor offense. This is a critical distinction. The reason is that if your crime has originally been charged as a Felony depending on the circumstances the crime may be reduced to a Misdemeanor as part of a plea bargain. A good example of a wobbler offense is the offense of an alleged violation of Penal Code section 273.5. 1. Defendant willfully inlicted corproreal injury on victim. fiance or fiance or someoen with whoim the offender has or previously had, an engagement or dating relationship. the mother or facther of his or her child. 3. Corporeal injury resulted in a traumatic condition. This crime can be punished in the state prison for 2,3 or 4 years or Felony probation. or As a Misdemeanor meaning the crime wobbles down. This is a good thing. For example if the case begins to weaken, meaning the proseuction does not believe they can prove traumatic injury or the victim is not cooperative. The prosecution can simply amend the charge to a misdemeanor count of P.C. 273.5. This means you would not have to be a convicted felony lose your right to vote and subject yourself to state prison possibilities. if the case is a Misdemeanor then the worst that could happen even if you violated your terms and conditions of probation would be up to a year in local jail. You would still have a 10 year restriction on the purchase of a firearm and would have to complete a 52 week batterer intervention program. However the most serious consequences such as state prison and the loss of voting rights and loss of firearm rights for life would not be applicable. If you have been accused of a felony 273.5 you should give us a call and we can help you through this.